In case homebuyers are wondering where they can get affordable houses, cities in Bulacan, Laguna, and Rizal right on the fringes of Metro Manila offer them the most viable options, as these areas are teeming with foreclosed properties, according to data from global real estate website Lamudi Philippines. Lamudi found that the from their latest data analysis that cities of San Jose Del Monte (Bulacan), Dasmariñas (Cavite), San Mateo (Rizal), Bacoor (Cavite), and Santa Rosa (Laguna) have the most number of listed foreclosed houses in the website. 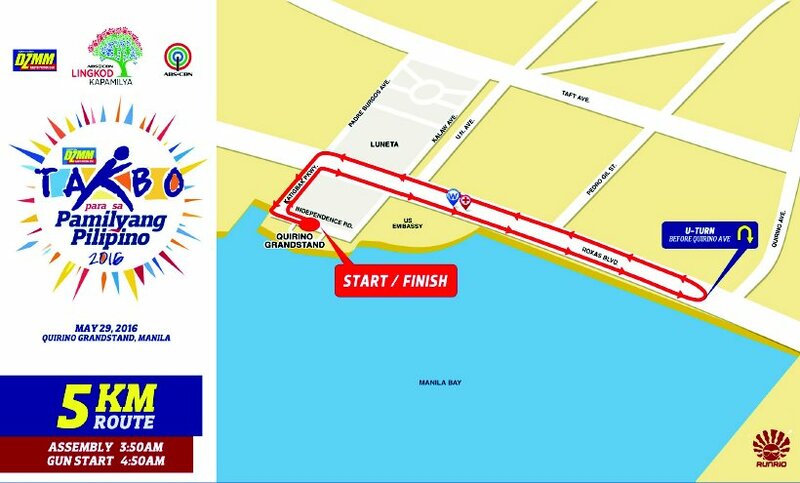 Followed by Caloocan (Metro Manila), Quezon City (Metro Manila)Antipolo (Rizal), Imus (Cavite), and San Pedro (Laguna). 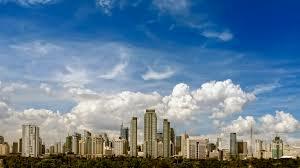 Caloocan and Quezon City are the lone Metro Manila cities that made it the top 10. Together, these cities comprise 51 percent of all foreclosed houses listed in the Lamudi website. In terms of prices, San Jose Del Monte offers the most affordable foreclosed houses among the top 10 cities. Foreclosed houses in this Bulacan city average Php336,000. Quezon City, meanwhile, offer much pricier foreclosed houses, averaging Php5.33 million. Average prices of foreclosed houses listed on Lamudi Philippines. Data as of March 31, 2016. In terms of onsite search volume, Quezon City is the most-searched city for foreclosed properties in the Lamudi website from January 1 to March 31, 2016. More than 6 percent of all searches for foreclosed properties conducted during the period involved Metro Manila’s largest city. 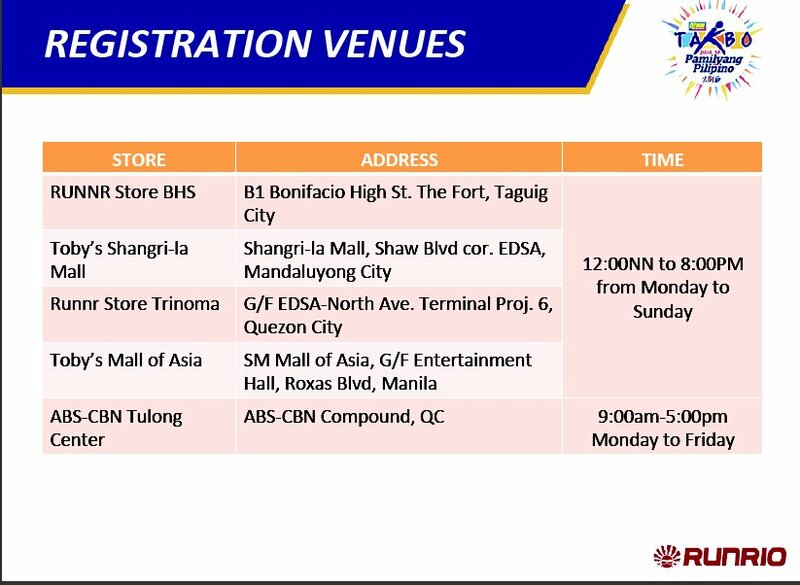 Quezon City is followed by the cities of Las Piñas, Parañaque, and San Jose del Monte, the provinces of Benguet and Laguna, and then by Caloocan. Together, these areas captured almost 20 percent of total search volume for foreclosed properties in the Lamudi website. Filipinos’ interest for foreclosed properties has also been increasing every quarter, at least according to Lamudi data. 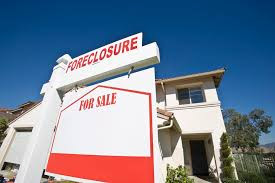 The property website showed that search volume for foreclosed properties increased 5 percent from Q2 2015 to Q3 2015; 9 percent from Q3 2015 to Q4 2015; and a remarkable 75 percent from Q4 2015 to Q1 2016. On the other hand, the proportion of searches attributed to foreclosed properties in relation to total searches made has also been increasing every quarter: 1.42 percent in Q2 2015; 1.68 percent in Q3 2015; 2.15 percent in Q4 2015; and 2.34 percent in Q1 2016. Don’t miss out on PhilSTAR’s “Modern Living TV” latest episode as celebrity hosts and STAR lifestyle columnists Bianca Gonzalez and Stephanie Zubiri speed you up on the top trends for new mommys—from child-friendly design to glamorous makeovers for mommies. This Saturday, April 30, join Steph as she embarks on yet another design challenge this season as she checks out perfectly designed nursery interiors for her own upcoming bundle of joy. Learn the secret of how to make your nursery stand out from the rest while also keeping it child-friendly and functional at the same time. On the other hand, Bianca is in for a completely different design challenge as her fashion stylists and beauty experts give the hard-working mom a much deserved makeover. Observe Bianca’s fashion and make-up overhaul this episode and find out how to replicate a fresh look for the summer. The fifth season of Modern Living TV has 13 episodes, running every Saturday since March 5 until May 28 on ANC at 10:30 a.m., with replays on Sundays at 6 p.m. Modern Living TV is the first lifestyle TV show by a news media organization. Every 30-minute episode of Modern Living TV features the latest eye candy in the form of breathtaking living spaces and other elements of modern living. The show will also present informative and entertaining segments that feature the hottest lifestyle trends. Acer Philippines continues to provide its channel partners with enough selling skills through continuous training provided by the tech giant’s Channel Partners Enablement Program (CPEP). The program was designed to equip Acer’s commercial sales partners with the latest updates on Acer products and solutions together with Microsoft Philippines. CPEP also lets channel partners be further trained to develop not just their selling skills but also their personality through a soft-skill trainer. Later, the attendees were given a certification examination and qualified channel partners received sales certificates from Acer Philippines, Inc. Company officials such as Manuel Wong, Acer Philippines Managing Director welcomed the participants, while Microsoft Philippines Windows Marketing Client Specialist Eufer Pasion, provided Microsoft Windows 10 Professional updates. 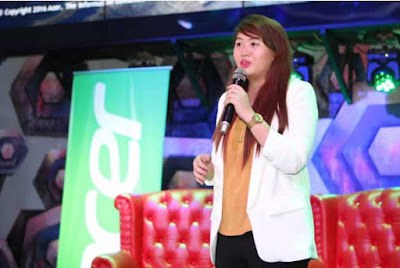 Lauren Yap, Acer Philippines Product Lead for Digital Display presented product updates on Acer’s projectors and monitors, Alex Araneta conducted the soft-skills training while Laura Lu, Business Development Manager from Acer headquarters lectured on Smart City Solutions. For more about Acer Philippines’ innovative products and other updates, go to www.acer.com.ph, follow Acer via Twitter (twitter.com/acerphils) or www.Facebook.com/AcerPH. Chevron Philippines Inc. (CPI), marketer of Caltex Lubricants, Havoline® and Delo®, launches the Power of X promotion with its first partnership with Twentieth Century Fox for the latest installment of the most-anticipated blockbuster movie X-Men: Apocalypse. Experience the Power of X with Havoline® and Delo® when you go to any Caltex service station or Caltex Lubricants workshops. 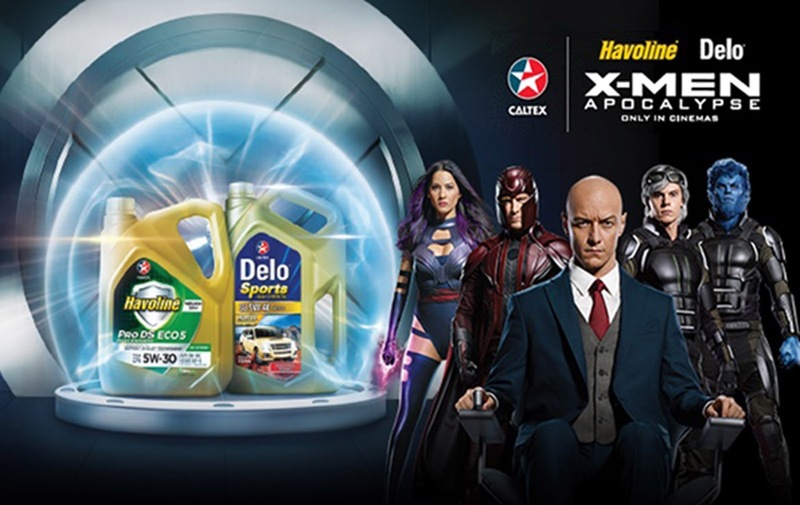 Fans of the film as well as Caltex customers will receive X-Men T-shirts with every purchase of participating Havoline® and Delo® products, plus a chance to win X-Men premium items in the fortnightly draws, and a 150cc Yamaha motorbike in the grand draw. “At Caltex, our customers are the cornerstone of our business. Every bottle of Caltex Havoline and Delo engine oil is imbued with the power to protect their engines and deliver optimized performance. To help our customers ‘Enjoy the Journey’ even more, we’ve tailored exclusive offers and activities to make every journey with Caltex an exciting one,” says Joseph Bronfman, CPI Area Business Manager for Lubricants, Philippines and Vietnam. Every Havoline® and Delo® promotion gift box comes with a free X-Men T-shirt and a raffle coupon for a chance to win exclusive X-Men: Apocalypse premiums in the fortnightly draw. Up for grabs are 1 Magneto Helmet and 20 pairs of movie passes on the April 25 draw, 1 Magneto Helmet and 20 T-Shirts on the May 9 draw, 1 Magneto Helmet and 20 Wash Bags on the May 23 draw, and 1 Magneto Helmet and 20 Hoodies on the June 3 draw. Customers also stand a chance to walk away with a brand new 150cc Yamaha motorbike in the grand draw on June 15. The promotion gift boxes are available at selected Caltex stations and Caltex Lubricants workshop nationwide starting 1 April until 12 June 2016, or while stocks last. For more information on the ‘Release the Power of X’ promotion, visit www.calteXmen.com. Chevron Philippines, Inc. has been in the Philippines for over 90 years, offering high quality products and services. To date we have more than 700 Caltex stations, and sells a range of petroleum products, including Caltex with Techron® gasoline and Caltex Diesel with Techron®D, kerosene and jet fuel. Chevron has 18 facilities in the Philippines, including major terminals, depots and sales offices. Our import terminal in San Pascual, Batangas, forms the hub of our transportation and supply operations in the Philippines. Chevron also provides jet fuel for airlines at Ninoy Aquino International Airport. Chevron also markets Delo® and Havoline® lubricants, coolants and other lubricating oils and greases through distributors to consumer, commercial and industrial customers. 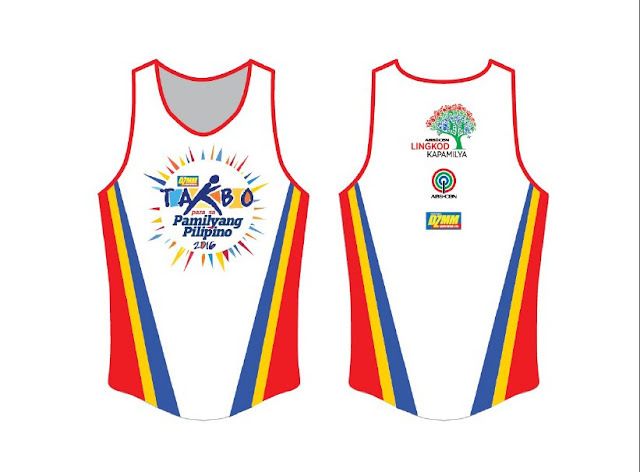 More information on Chevron Philippines, Inc. is available at www.caltex.com/ph. Since 1904, Havoline® motor oils have provided outstanding performance. In 1946, Havoline introduced its “New and improved Havoline Motor Oil,” which for the first time featured additives that inhibited corrosion, provided detergent and dispersive action, reduced piston ring wear at both low and high temperatures, and protected against engine rust. Today’s Havoline lives up to its heritage with its latest technology: Havoline® with Deposit Shield® Technology, an advanced formulation that protects your engine from harmful deposits to deliver optimum performance. Havoline suite of products include passenger car engine oils, motorcycle oils and other ancillary products such as coolants, automatic transmission and brake fluids providing total engine protection. Delo® has grown to become a powerful global brand with a proven track record of exceeding the requirements of some of the largest, most demanding fleets in the world. When Delo® was launched (short for Diesel Engine Lubricating Oil) in 1935, Delo® products have been at the forefront of lubrication innovation for diesel powered equipment. Today, we continue to put our expertise to work for you, delivering a premium suite of proven products, combined with in-depth industry knowledge and a strong support network, to help ensure your business success. After all, protecting your equipment means protecting your bottom line. The biggest real estate players in the Philippines recently released their respective income reports for the year 2015, and as expected, the overall financial trend is predominantly good for almost all real estate companies. Online real estate portal Lamudi Philippines has listed down and analyzed the performance indicator of the country’s top real estate developers for 2015. The highest income for 2015 goes to Ayala Land Inc. (ALI) at Php17.6 billion, 19 percent higher from the real estate giant’s 2014 figure of Php14.8 billion. The jump in profit was attributed to ALI’s diverse offering of residential and commercial products, especially its master-planned estates all over the country. ALI also amplified its presence in key growth centers and introduced three new integrated mixed-use estates in 2015. These are the 11-hectare Cloverleaf project in Quezon City, the nine-hectare Capitol Central in Bacolod, and the 700-hectare Vermosa in Cavite. Also highly anticipated is its Arca South project in Taguig and Vertis North in Quezon City. Early this year, the Ayala group has gained control of land-rich Ortigas & Co., along with the Sy (of the SM group) and Ortigas families. Also coming strong is property giant Megaworld Corp., whose net income soared 10.58 percent from 2014’s Php9.40 billion. The company breached the Php10 billion mark in net core income for 2015, at Php10.40 billion. True to its title as the builder of live-work-play developments in the Philippines, Megaworld launched five integrated townships in 2015, marking a total of 20 integrated township developments across the country. Adding to the company’s success is the exponential growth of their rental business, especially BPO offices, for the last five years. As early as now, Megaworld Chief Finance Officer Francis Canuto shares that they are confident that they will reach the Php11 billion target by end of this year. Federal Land of the GT Capital conglomerate recorded an Php8 billion profit for 2015, a 5 percent growth versus their Php7 billion in 2014. The company says it will continue to push its presence in the property industry with strong focus on residential development. “We eye high-end and middle-income projects for Federal Land and Horizon Land, whichever is best suited for our present land bank,” Federal Land Chairman Alfred V. Ty said. Not to be outdone, Manny Villar–led Vista Land and Lifescapes Inc. announced a 14 percent yield growth in 2015 with earnings amounting to Php7.2 billion from Php6.3 billion in 2014 as it combined the income of recently acquired Starmalls Inc. The bulk of Vista Land’s 2015 profit, though, was earned by the Vista Land real estate group. Alone, it secured a 10 percent profit growth from their Php6.3 billion earnings for 2015. The company said that its Communities Philippines brand contributed almost half or 44 percent of the said revenues, followed by the Camella brand (12 percent), Vista Residences (12 percent), Starmalls (10 percent), Crown Asia (5 percent), and Brittany (4 percent). The resilient performance of Filinvest Land Inc. of listed conglomerate Filinvest Development Corp. resulted to an 11 percent rise in consolidated net income. One of the country’s largest residential developers and BPO office providers recorded a Php5.10 billion profit for the full year 2015, from Php4.61 billion in 2014. Revenues from rental assets alone increased to Php2.95 billion in 2015, 12 percent higher than the Php2.63 billion reported a year earlier. Filinvest operates 14 buildings in Northgate Cyberzone in Alabang and one building along EDSA in Mandaluyong, which according to Filinvest, all of which are fully occupied. Also at Php5.1 billion, SM Development Corporation, the residential division of SM Prime, clinched an 8 percent growth from their Php4.7 billion reported in 2014 despite flat revenues. However, this real estate sales figure is just 31 percent of the consolidated revenue of SM Prime, which recorded a 54 percent year-on-year uptick to Php28.3 billion for 2015. The profit was buoyed by a Php7.4 billion one-time trading gain on marketable securities booked in the first quarter of 2015. Without the nonrecurring item, the net income of the integrated property firm climbed 14 percent year-on-year to Php20.9 billion last year, a tad faster than the 13 percent jump to Php18.39 billion year-on-year to 2014. Robinsons Land Corp. disclosed an unaudited consolidated net income of Php5.70 billion, 20 percent up year-on-year from Php4.73 billion. 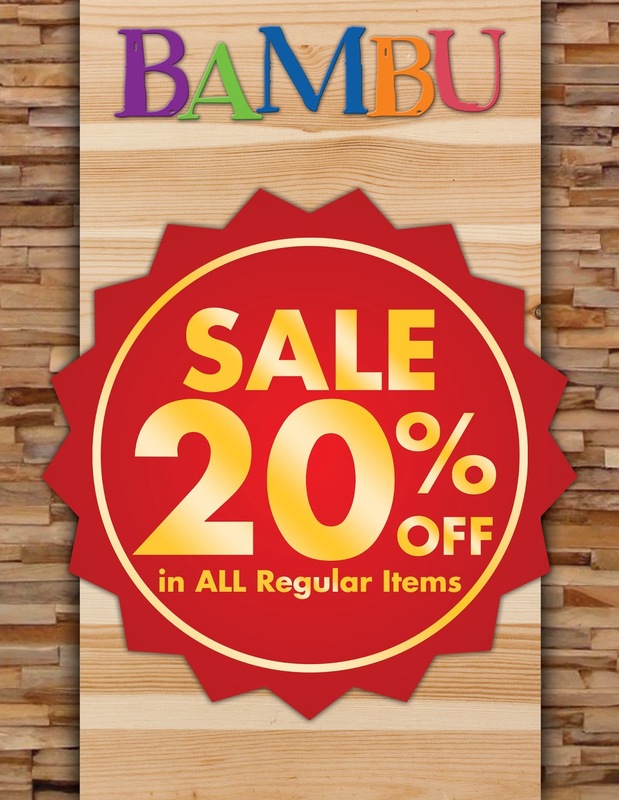 Sales went up 16 percent to Php19.73 billion, mostly driven by the double-digit growth of all its business segments led by Gokongwei-led company’s office buildings. Unfortunately, not all property developers are lucky to experience the upsurge of profit for 2015. Shang Properties and Rockwell Land reported flat performances. Shang grew from Php2.7 billion to Php2.8 billion, primarily due to higher condominium sales and rental revenue, while Rockwell Land maintained their Php1.6 billion 2014 profit. This is the slowest annual performance for the company since 2011. Century Properties, on the other hand, revealed that its net income dropped to Php1.519 billion in 2015, down 29.6 percent from Php2.158 billion in 2014. The upscale property developer noted a substantial decrease in sales because of projects that were turned over in 2015 and prior years. There were also fewer project launches in 2015 and the company focused on turning over, completion, and collection, shared Teresita Fucanan Yu, Century Properties’ vice-president for corporate communications. The inaugural Paris ePrix took place in chilly but dry weather, a first for the MICHELIN Pilot Sport EV and a challenge to which it rose without flinching. The first Formula E race in the streets of Paris was a moment that the teams had long been waiting for, especially the French teams, of course, and also Michelin, a founding partner of the innovative electric single-seater series. The 14-turn circuit of almost two kilometres in length formed a loop around the famous Hôtel des Invalides in the French capital’s seventh district and it turned out to be one of the most technically demanding of the championship. Its profile and surface were particularly hard on tyres, while Saturday’s cold weather – which saw the temperature rangefrom 9 to 12°C – prevented them from reachingtheir ideal working temperature as quickly as possible. 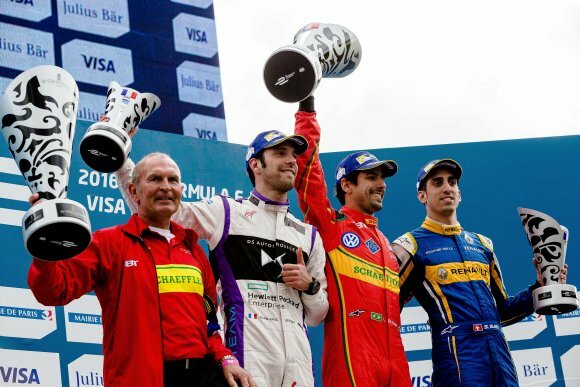 The dramatic 2016 Paris Formula E ePrix was won by Brazil’s Lucas Di Grassi (ABT Schaeffler Audi Sport), ahead of Frenchman Jean-Eric Vergne (DS-Virgin Racing) and Switzerland’s Sébastien Buemi (Renault-e.dams). Round 8 of the 2015/2016 FIA Formula E Championship will take teams to Berlin, Germany, on May 21. - The MICHELIN Pilot Sport EV’s interior diameter - 18 inches – permits a direct carry-over of the technologies it packs to mass-produced tyres, since the FIA Formula E Championship provides a life-size proving ground. Formula E is the first single-seater championship to use tyres of this diameter. - Its tread pattern is visually similar to that of a road tyre, or a racing tyre for wet conditions, but the MICHELIN Pilot Sport EV is used by the Formula E teams whatever the weather. 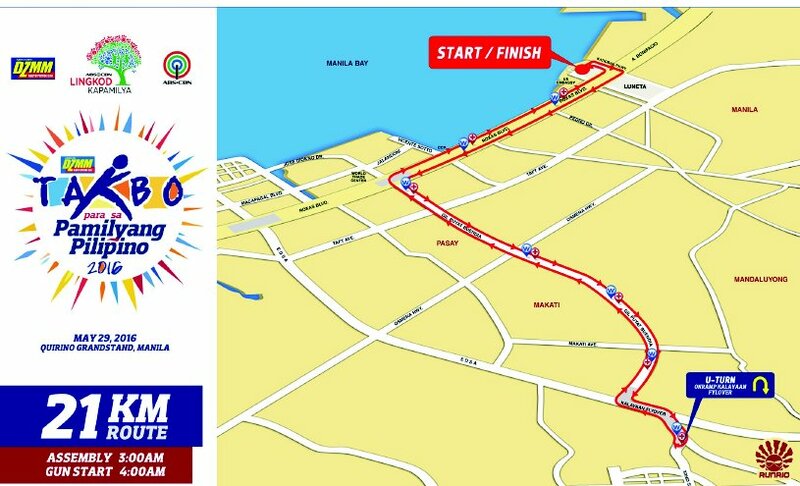 - Each Formula E car is allocated a single set of tyres for the entire race day (free practice, qualifying and the race itself). In order to minimise the number of tyres used in the championship, the spares are tyres that are carried over from the previous ePrix. Front: 24/64-18 / Rear: 27/68-18 (according to the system employed by Michelin Motorsport, i.e. tread width in centimetres / exterior diameter in centimetres / rim diameter in inches). That’s equivalent to road tyre sizes of 255/40R18 (front) and 305/30R18 (rear), i.e. overall tyre width (mm) / aspect ratio (sidewall-height to tyre-width ratio) / rim diameter (inches). The letter ‘R’ signifies ‘radial’. Because of its patterned tread and 18-inch interior diameter, the MICHELIN Pilot Sport EV resembles a road tyre. Yet it packs numerous technologies that are currently being tested with a view to their being carried over to Michelin’s catalogue tyres over the coming years. When Batman V Superman: Dawn of Justice premiered March 26, 2016 in the Philippines, long lines of die-hard fans of the Bat of Gotham and the Son of Krypton formed in theaters. But formany, watching the movie once was not enough. The MX4D experience now available in the Philippines let moviegoers double the fun and excitement of watching the super blockbuster in 4D. MX4D is a movie-watching experience like no other. Right from the start you are part of the action on-screen when you watch movies like Batman vs. Superman in the new format. From the moment when the Metropolis is being destroyed by aliens, you ride shotgun with Bruce Wayne as he races to save his employees from the oncoming onslaught. Smoke comes out of the screen when the building collapses and debris starts flying everywhere. You’ll never know what, or when, to expect the next big thing if you’re watching a movie in MX4D. Jolts, turns, gusts of wind and scents are some of the extraordinary things you will experience while watching a movie in the format. It is highly recommended that you immerse yourself completely in the action and not munch on snacks while the on-screen action is hot. MX4D really literally moves you, and you won’t know what’s going to happen next. The action-filled Batman V Superman showcases the best of what the MX4D experience can offer. Although those who prefer to be relaxed while watching movies may prefer the conventional theatrical experience to the all-engaging style of watching movies in 4D, it is a must to watch a movie in this format at least once. 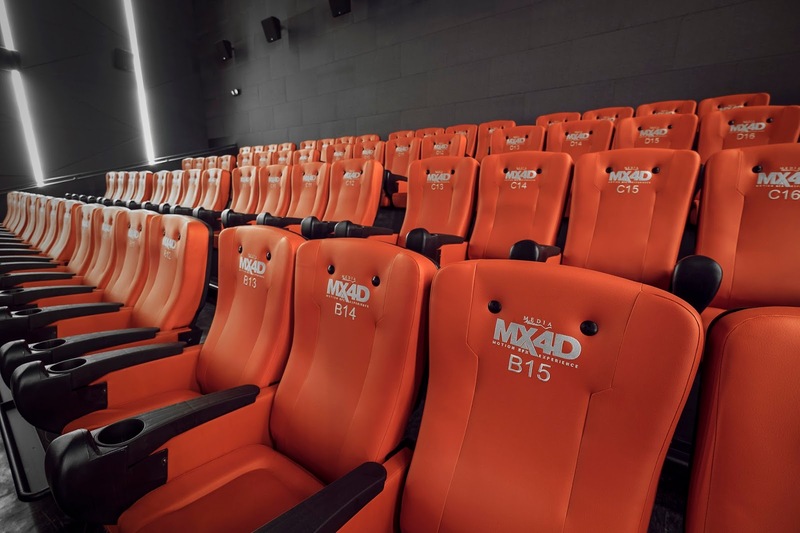 The MX4D experience helps viewers feel more connected to the scene and the protagonists and makes movie-watching more interesting and fun. 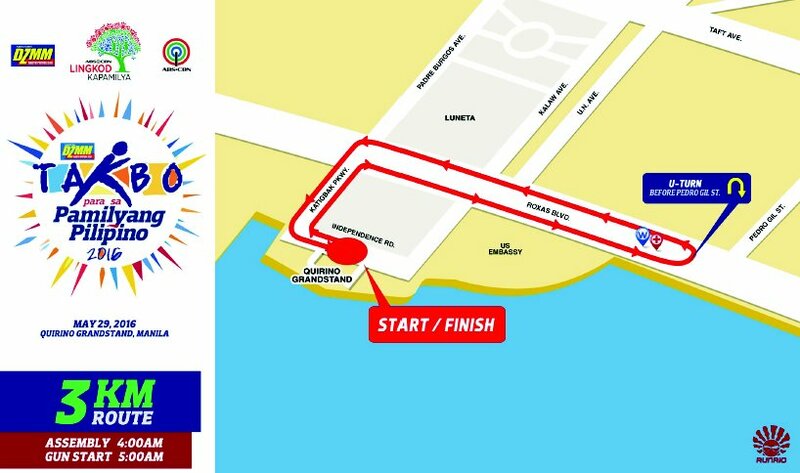 Good news for Metro South residents, who can now enjoy this one of a kind experience right outside their doorstep. The Philippines’ first and only MX4Dtheateris at Vista Cinemas in Evia Lifestyle Center, Vista City, Daang Hari. It’s worth visiting and experiencing too, even if you’re not from the South. Up next for MX4D action is the much-awaited blockbuster film, Captain America: Civil War. For updates on movie schedules and ticket prices, please visit the website vistamalls.com.phor the Vista Cinemas Facebook page at facebook.com/vistacinemas and facebook.com/ evialifestylecenter. You may also use the #eviaMX4D. The Ganon Baker Basketball Camp Manila 2016 is being organized by local partner Eric Bañes, a certified skills coach and strength and conditioning specialist, who has himself trained at Ganon Baker’s high-performance Elev8 Sports Institute in Fort Lauderdale, Florida. Bañes works with pro and collegiate teams locally. Wheels, PhilSTAR TV’s premier motoring TV show, continues to break the glass ceiling as it provides you with the latest motoring news and developments. Wheels will take you out of your comfort zone in its next episode on April 28 by trying on more new cars and experiencing aspects of the motoring life that you only imagined. Watch Matteo, Manny, Angel and Kap this Thursday for adventures beyond your threshold. First up is Matteo, who assumes the life of a mechanic for day to find out why cars need to undergo periodic maintenance service. Meanwhile, Manny drives the family-oriented Mazda CX-9 SUV, another viable alternative for families looking for a suitable car for their everyday needs. Angel blasts through Negros Island aboard the newest cars from KIA to see if they can weather the challenges posed by the island’s twisting, uphill and rough roads. And finally, Kap goes behind the wheel of the all-new Toyota Fortuner and puts it to the test on the racetrack to see what’s changed in one of the market’s leading SUVs. It’s all these and more on the third season of Wheels, your guide to life on the fast lane. Catch it every Thursday, 10:30 p.m., on ABS-CBN Sports + Action Channel. For firsthand info on the latest happenings in motoring, like and follow Wheels on www.facebook.com/PhilStarWheels. The Jr. NBA/Jr. WNBA Philippines 2016 All-Stars and Coaches of the Year with NBA and Alaska officials. (L-R) Front Row : Blen Fernando, Alaska VP for Marketing, Jr. NBA Coach of the Year Chollo Alegino, Cecilia Quilenderino, Rozie Amatong, Aloja Betanio, Darlene Regasajo, Jill Talas, Harold Alarcon and Tracy Dadang; Scond Row : E Cow, Jeffrey Cariaso, Norris Cole of the New Orleans Pelicans, Miguel Roy Tan, Jearico Nunez, Andrei Lechoncito, Fritz Valencia, Julian Jugo, Jr. NBA/Jr. WNBA Head Coach Craig Brown, Ric Ozner Gatuz, Isaiah Blanco, Jr. WNBACoach of the Year Ewon Arayi, Kai Sotto, NBA Philippines Managing Director Carlo Singson and Taj McWilliams-Franklin, WNBA Legend. 10 Boys and 5 Girls —Players from Luzon, Visayas and Mindanao were selected as Jr. NBA and Jr. WNBA All-Stars during the last day of the Jr. NBA/Jr. WNBA Philippines 2016 presented by Alaska National Training Camp at the SM Mall of Asia Music Hall on April 24. Bacolod City is represented by Fritz Felix Valencia and Harold Alarcon of Taytung High School and Andrei Philip Lechoncito of St. John’s Institute while Cebu and Baguio City are represented by Tracy Carl Dadang of University of San Carlos and Ric Ozner Gatuz of Cherished Moment School respectively. Jearic Nuñez of University of Perpetual Help System-DALTA, Miguel Roy Luis Tan of Xavier School, Kai Zachary Sotto of St. Francis of Assisi School, Julian Alfonso Jugo and Isaiah Miguel Blanco of La Salle Greenhills are the Manila contingent completing the ten Jr. NBA All-Stars. The Jr. WNBA All-Stars are composed of Florence Jill Talas and Darlene Regasajo of Abellana National High School in Cebu, Rozie Amatong of Modern International Learning Center in Davao, Aloha Marie Betanio of Malaybalay Corpus Christi School in Bukidnon, and Ma. Cecilia Quilenderino of Dalig National High School in Antipolo. 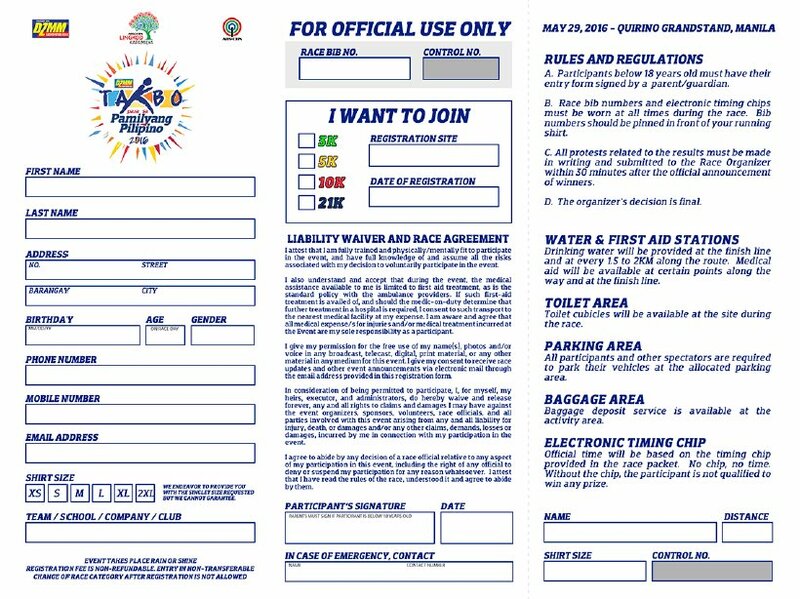 The Jr. NBA, the league’s global youth basketball participation program for boys and girls, teaches fundamental skills, builds character, and promotes active lifestyles of Filipinos nationwide. 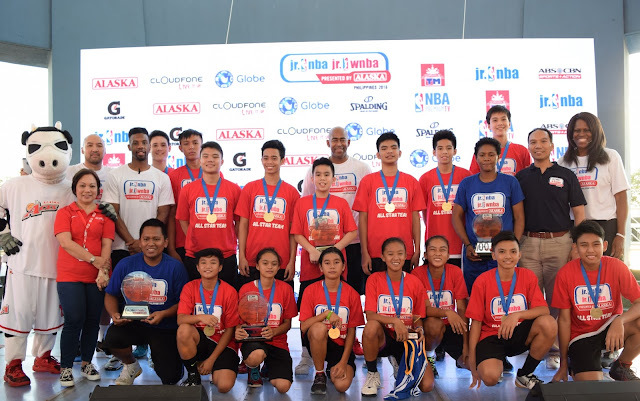 In its ninth year, 2-time NBA Champion Norris Cole and WNBA Legend Taj McWilliams-Franklin joined Jr. NBA Coaches Craig Brown and Jeffrey Cariaso in training and working with the young campers at Don Bosco Technical Insitute Gym in Makati. After three days of experiencing world class basketball instruction, the 10 Jr. NBA and five Jr. WNBA All-Stars will be rewarded with a unique, overseas NBA experience together with fellow Jr. NBA All-Stars from Southeast Asia later this year. 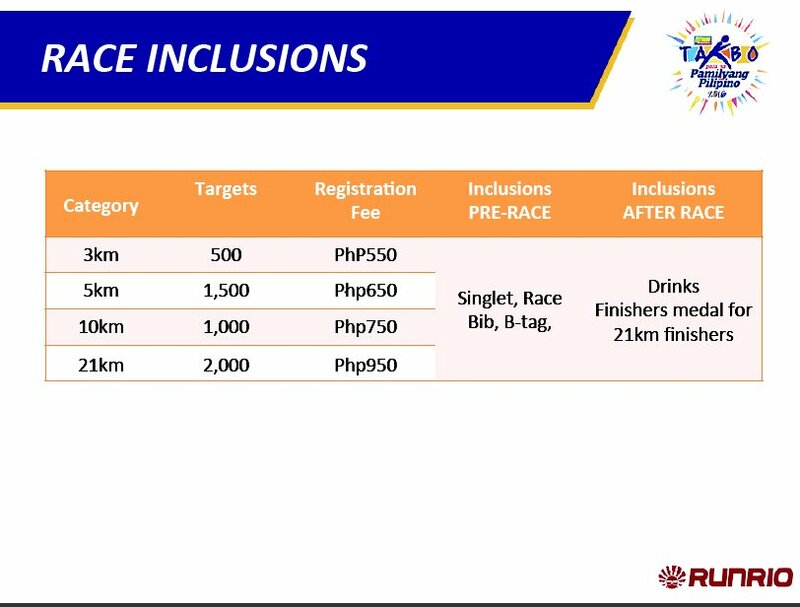 The program will also feature the selections of the 2016 Jr. NBA and Jr. WNBA Coaches of the Year—Ewon Arayi of Magis Academy in Antipolo and Elegino Chollo of Ateneo de Davao—who will also join the experience trip. The 2016 Jr. NBA/Jr. WNBA Philippines All-Stars were chosen from a group of 50 boys and 24 girls ages 10-14 from Regional Selection Camps in Baguio, Cebu, Davao and Manila and the Alaska Power Camp this year. Highlighting the Jr. NBA/Jr. WNBA Philippines 2016 program was Kai Zachary Sotto and Rozie Amatong who were named as the camp’s Most Valuable Players. In addition, the National Training Camp showcased the fourth edition of the Jr. NBA All-Star alumni game and the first Jr. WNBA All-Star 3x3 exhibition. 100 Filipino cultural dancers performed a thanksgiving dance that wowed millions of attendees from around the world at the recent World Culture Festival, the biggest gathering for world peace that brought together people of various nationalities and faiths on one grand, magnificent global stage in New Delhi, India. The Art of Living Foundation, founded by Sri Sri Ravi Shankar, organized the event in celebration of 35 years of service to humanity. The dancers, who belong to the multi-awarded Buyogan Festival dancers from the province of Leyte, one of the areas ravaged by typhoon Yolanda, performed their celebrated dance to express gratitude to all volunteers and donors from around the world who helped their province recover from the disaster. Their attendance marked the first time that representatives from the Philippines graced a global event of such magnitude. The millions in attendance during this the three-day event included thousands of artists, business, political and spiritual leaders from around the world. All were treated to cultural buffet of dance performances, ancient chants of peace, musical numbers, and inspiring speeches from around the world. The purpose was to celebrate harmony in diversity and love in a world that is increasingly ravaged by conflict caused by regional and religious divides. Among those who made their presence felt were the likes of Vatican representative H.E. Bishop Marcelo, His Eminence, Grand Mufti of Syria Dr. Ahmad Badreddin Hassoun, and Rev. Gerald L. Durley, who is a good friend of US President Barack Obama. These leaders unanimously applauded Sri Sri Ravi Shankar for taking this spectacular step toward world peace. His speech was immediately followed by a string of remarkable performances that echoed the essence of peace and togetherness, as the finest talents the world over shared the stage with the international dignitaries present. Close to 1,000 vedic scholars sang chants from ancient scriptures while captivating dance performances left everyone breathless and in awe then 8,500 musicians from the Art of Living Grand Symphony, meanwhile, mesmerized the audience with their enchanting music. 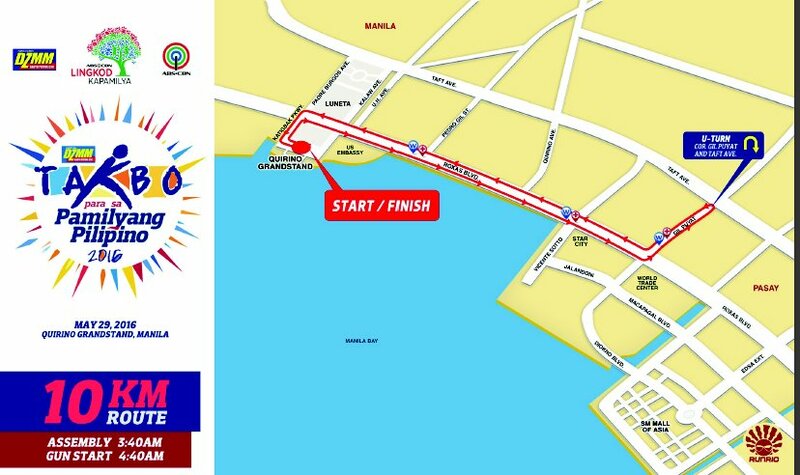 Joel Ruiz, a film director and one of 30 others who had flown from Manila to take part in this peace celebration, recalled how he was hooked on to meditation after he attended a happiness workshop by the Art of Living in Makati. "I have come here so that I can meditate with this sea of people attending this celebration. We have to collectively aim for inner peace so that we can achieve world peace," he said. The final day culminated with a finale number where all the thousands of international performers from all the groups including the Buyogan Festival danced simultaneously to a medley of songs making the idea of “One World Family” an experience of the audience. To know more about Art of Living programs and courses which have helped millions of people manage their stress and live happier lives through its various breathing and meditation techniques, visit www.artofliving.org, or call Kim 0917-848-0063 or Harsh 0905-469-8624. Harte Hanks (NYSE:HHS) praised the dedication and service-oriented culture of Filipino workers and called them the country’s main draw for foreign investors. In a panel discussion, following the opening Thursday of the American marketing company’s new BPO-call center in the Mall of Asia (MOA) Complex, which was moderated by ANC Anchor Ron Cruz, executives of Harte Hanks and its local business said they decided to increase investment here because of the Philippines’ “very good” labor market. Chacko also attributed the steady growth of the country’s BPO industry to a highly-educated, English-speaking workforce. Butch Valenzuela, treasurer of the Contact Center Association of the Philippines, who participated in the forum along with Jopat Lelay, project director of the Information Technology and Business Process Association of the Philippines, and Atty. Ray Glenn Agranzamendez, representing Pasay City Mayor Antonino Calixto, said the IT-BPO industry hired 1.2M workers in 2015 and would add another 100,000 this year to 1.3M. The Pasay facility, situated at Five E-Com Center, consolidates both of Harte Hanks Philippines’ former primary and secondary locations and creates seats for hundreds of additional new employees. The US-based firm’s Manila affiliate employs about 2,000 IT-BPO workers, majority of whom are assigned at its primary location in Fort Bonifacio, Global City. 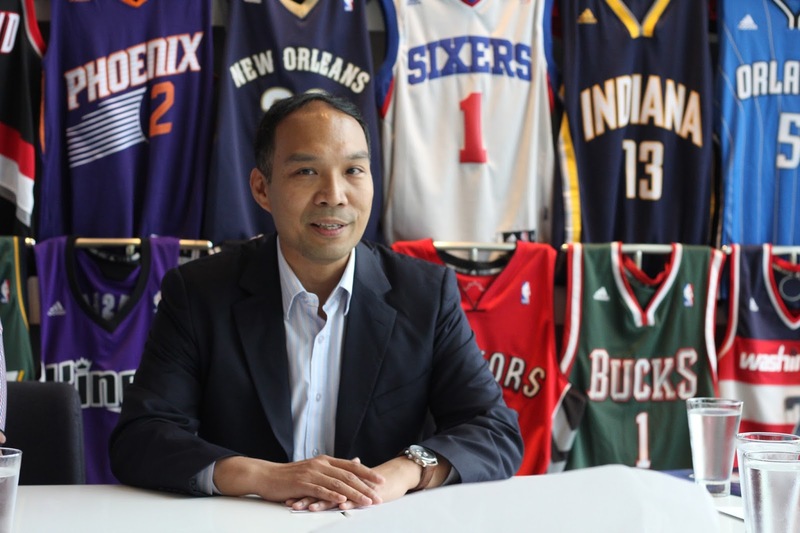 Jonathan Bondoc, Site Director for Harte Hanks Philippines, said the company prides itself as a BPO with a low-attrition rate, or turnover of employees, focusing on in-house programs that engage, enable and retain personnel. 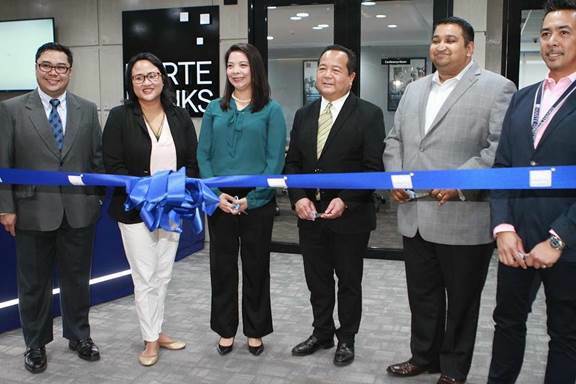 Harte Hanks began operating in the Philippines over a decade ago with a buy-operate-transfer partnership. Topical scalp lotion boasts of 19 natural ingredientsSay goodbye to hair loss and scalp problems with the newly-enhanced formulation of Novuhair. With 19 natural ingredients, the leading medicated topical scalp lotion is now almost 100% natural. improved formulation has a much better fragrance and a cool and minty feel. It also has anti-dandruff properties, as well as nourishing and moisturizing effects on the hair and scalp,” said Sheila Mae Velilla, CEO of Nutramedica, developer and distributor of Novuhair. Aside from producing a more effective solution for hair growth, the changes were necessary to make the product 100% compliant to the ASEAN Cosmetic Directive “Nature has provided a safe and effective answer to hair loss and scalp disorders with Novuhair. It is the only topical scalp lotion in the market that has the highest concentration of natural ingredients, FDA-certified and ACD-compliant. 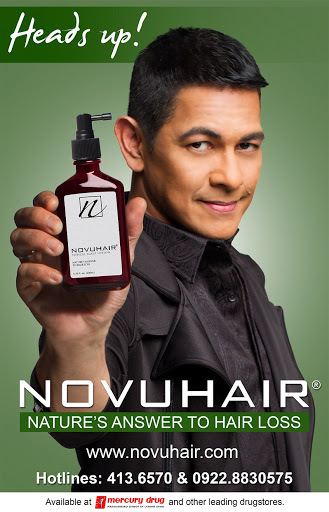 Novuhair is a homegrown, proudly Philippine-made product that is globally competitive. ” added Velilla. coconut oil and the natural essences of rosemary and peppermint, Novuhair nourishes the scalp and hair by increasing the flow of nutrients and improving blood circulation to the scalp. Novuhair also helps hydrate the scalp, maintain the hair’s natural luster and prevent early hair graying, hair dryness and itching. distributor in Kuwait, and is currently facilitating product registration in Denmark. Brand of the Year in 2012 and has been recognized as the leading Medicated Hair Care Brand from 2012 to 2015. Just recently, they introduced Filipino music icon Gary Valenciano as their latest endorser. 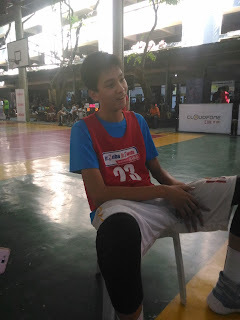 Lets get to know him a little bit, this young kid, turning 8th grade this year in St. Francis of Assisi has been getting tons of attention lately specially in social media, he seems to not only tower over the eliminations but also attracting interests on other basketball programs and even universities. He's trully someone to look after in the near future. 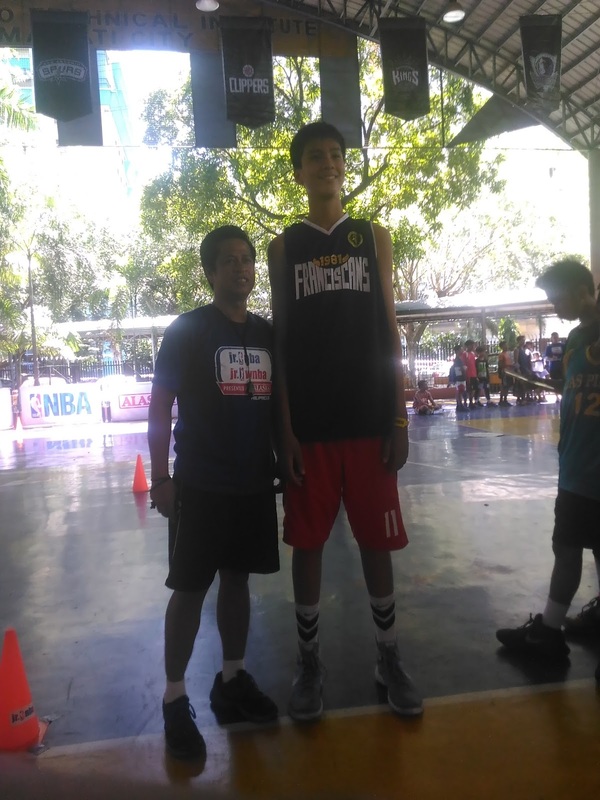 Which I think will be inevitable being the son of former PBA Player Ervin Sotto. This is his 3rd year of joining Jr.NBA and Jr.WNBA Presented by Alaska and I saw his big improvement from the time he started, from dribbling, to defence and offence. I had this opportunity to interview him together with my colleages. 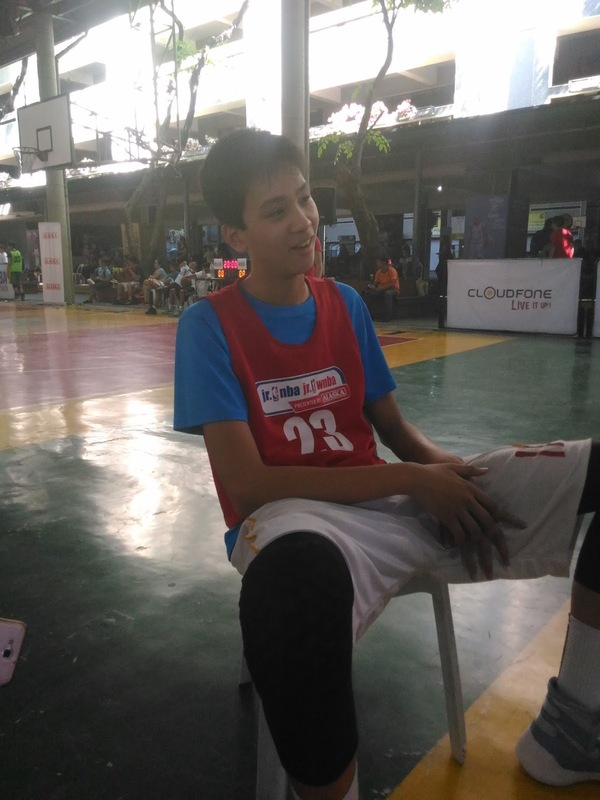 We learned that he's still motivated and eager to finally make it to the final line up of the Jr.NBA that will be flying abroad. He's also glad to see the other kids which were now alumni's of Jr.NBA and Jr.WNBA and was able to catch some tips from them as well. He said that he training everyday together with his Dad so he can improve on his skills as a player and doing all his best for this program. 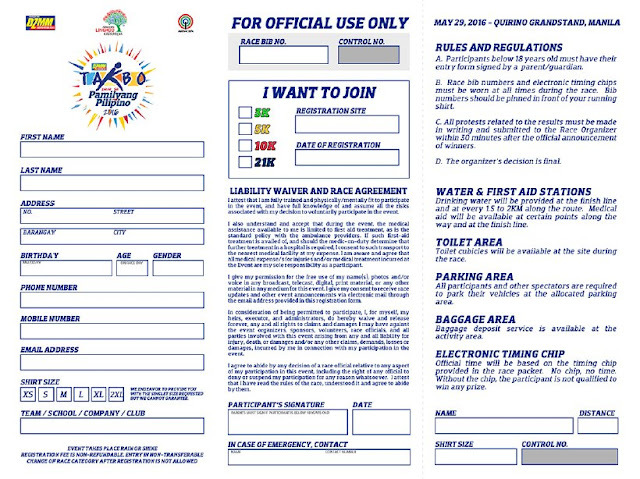 For general information about Jr. NBA and Jr. WNBA Philippines presented by Alaska please visit www.jrnba.asia/philippines, www.alaskamilk.com, and www.alaskapowercamp.com/basketball. For live updates log on to www.playph.com follow us on Facebook, Instagram and Twitter @playph #jrnba #jrwnba. 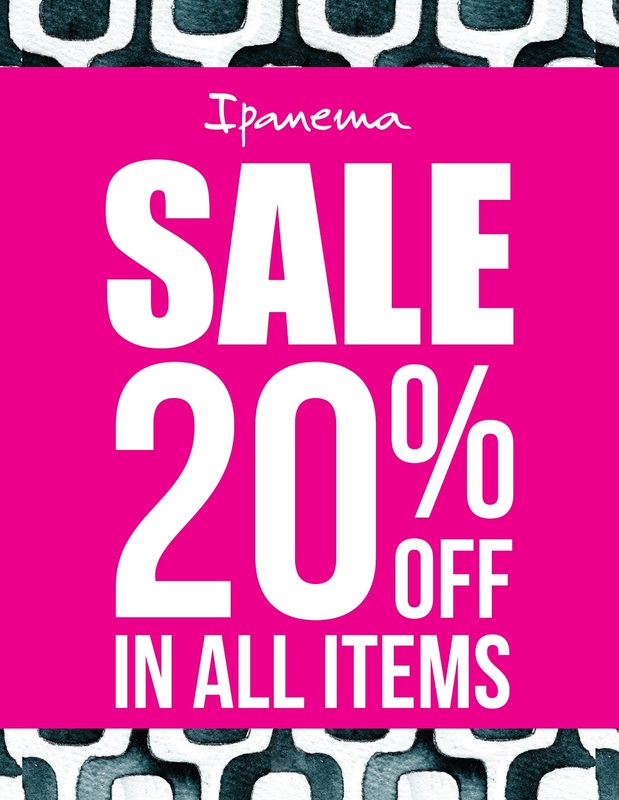 This sizzling summer, be sultry and fashionable wearing the latest flipflops and sandals from Ipanema and Bambu stores and enjoy 20% discount on all items. Promo is ongoing from April 22-24, 2016 only, so head over and shop to your heart’s content in these branches: Bambu Trinoma, Bambu Bonifacio Highstreet, Bambu Robinsons Ermita, Bambu Alabang Town Center, Ipanema Seaside Cebu, Ipanema SM Bacolod, Ipanema SM Iloilo, and Ipanema SM Lanang.